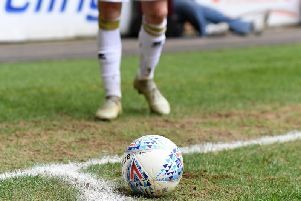 Robbie Neilson kept his players in the dressing room for almost an hour after losing 2-0 at Bristol Rovers on Saturday. The Dons boss could only watch on as yet another individual mistake, this time from midfielder Ed Upson, cost Dons a goal when he headed to Tom Nichols for Rovers opener on 65 minutes, before Rory Gaffney wrapped it up seven minutes later. After a purple patch in September, Dons have picked up just two points from a possible 15, dropping to a lowly 16th position. Perhaps more concerning though was the lack of chances created in front of goal, offering up no signs of a fight when chasing the game at the Memorial Stadium. Keeping his players in the dressing room for a long time afterwards, Neilson faced the media and said: "We had a chat in the dressing room to hear what the players thought, and ultimately it's not good enough, whether that be from the players, staff, coaches. We have to make sure we get better. We all have responsibility. "We are going through a period where we're making crazy mistakes, and Ed's totally changed the game. They had the impetus then, we found it difficult to get back into it and they got another goal. We have to stick together, keep working hard and get out of this rut we're in. "We made a couple of changes to try and get back into it, but it was a very disappointing day. We had the chance to move within a point of the play-offs, but we can talk about how close we are, but there has to become a point where we go out and do it. We have to do it on the pitch and do our talking out there and we're not doing it. "We had a really good period, but in the last month, we're giving away these crazy goals and it puts us on the back foot." With two weeks off from league action, Dons face non-league Hyde United in the FA Cup next week, and Neilson feels it is a chance for the players to go and build some confidence. He said: It's a great game for us to go into. We're hoping to go up there, Friday night under the lights on a good astroturf pitch and get some goals. It's a banana skin for us, but we're excited to be going there. "I'd rather be going to Hyde than a League 2 or Conference side."